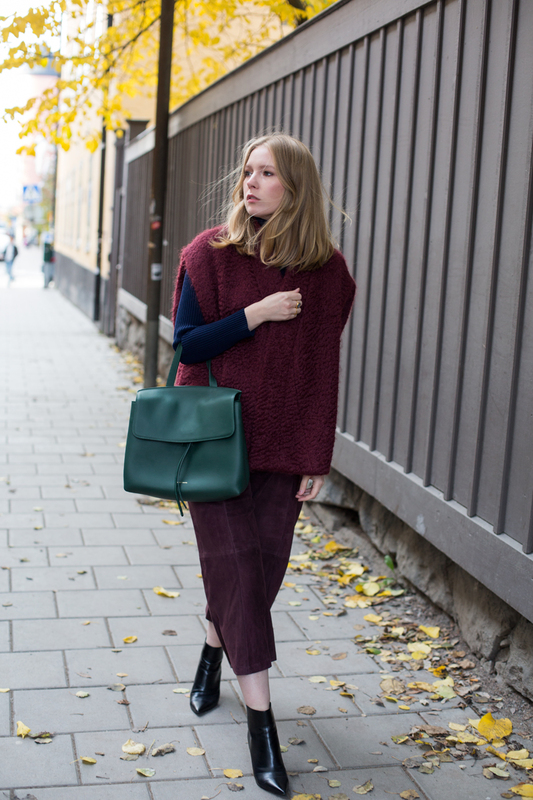 This entry was posted in Outfit and tagged Mansur Gavriel by Carolina Engman. Bookmark the permalink. 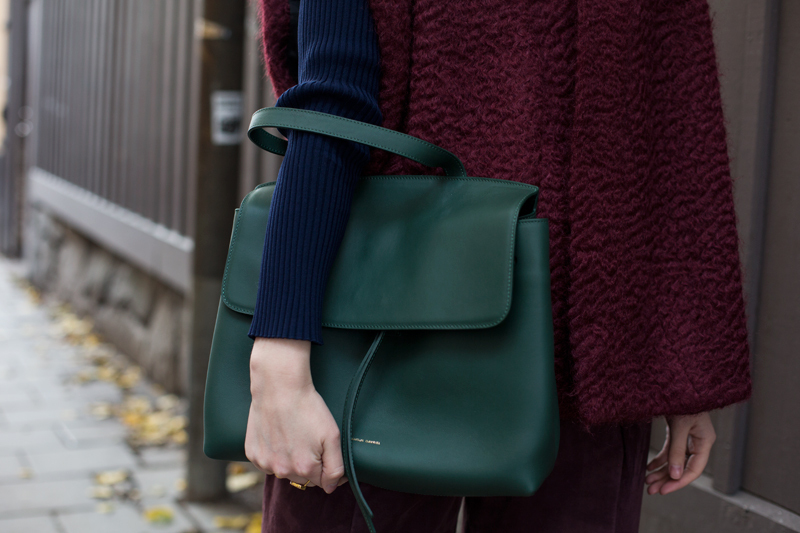 Love your look and the combo of burgundy and emerald green! Fantastic vest and bag!! This is an incredible outfit! Such a cool look! I love the color palate! beautiful textures of your burgundy pieces! I love this outfit!! I love a pair of good culottes for this season! You look so chic and elegant!! Love this look! The combo of colours is stunning. I really like those shoes and the bag, and it’s overall a very extraordinary outfit, which I like! Love your vest! Looks great! Love those suede burgundy culottes and the bag is really nice too! I can’t take my eyes off you when i see you in this outfit! You lady look beautiful, modern and very stylish. It’s time for me to wear suede culottes like you. It’s amazing! Lovely autumn colors in your outfit! Love how culottes always look so chic and the vest looks really cozy, awesome! These culottes are to die for. I’ve not seen suede ones before and they really reinvent the whole style. Love it.